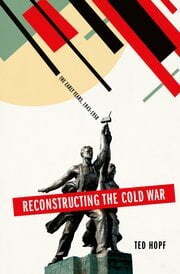 Debates over the origins of the Cold War have long been a staple of graduate and undergraduate courses on historiography. Tracing the shifting interpretations of such an important era demonstrates how the writing of history influences and is influenced by the periods in which the history is written. The result has been a familiar tripartite division straight out of Hegel, as Traditionalist certainty inspired Revisionist critique, which in turn spawned a Post-Revisionist effort to harmonize the two that has created new opportunities for creative disagreement in succeeding generations. Heated debates about the merits of specific arms control agreements were a constant feature of the Cold War. Did the hawks or the doves offer a more compelling and intellectually consistent viewpoint in these debates? In his new book, which should be of great interest to both historians and international relations theorists, James Lebovic argues that neither side in these debates was consistently correct and that the terms of arms control agreements reached during the Cold War “were never as good as U.S. proponents claimed—or as bad as opponents feared” (1). The central purpose of Lebovic’s historical research, however, is not to argue about the merits and flaws of particular arms-control treaties but to examine the underlying ideas and assumptions shared by both sides in the debate. For all of their important policy differences, Lebovic argues, both hawks and doves demonstrated “flawed logics” in their approach to arms control throughout the Cold War. 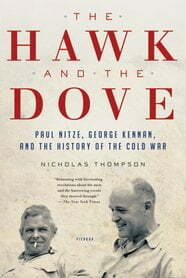 While both sides ostensibly focused their respective cases on the hard number and operational realities of nuclear weapons, the arguments made by both hawks and doves were based on crucial ideas and assumptions about aspects of the adversary’s intentions, strategies, and trustworthiness that were rarely subjected to proper scrutiny. H-Diplo has assembled a very impressive interdisciplinary (and international) lineup for this roundtable; all four reviewers provide, in my opinion, excellent analysis. Each of them finds much to praise about the book under review, in particular Ted Hopf’s fascinating historical account of Soviet political culture during the first thirteen years of the Cold War and how it shaped, and was shaped by, elite conceptions of Cold War foreign policy. All of them have some criticisms, primarily methodological ones about Hopf’s employment of International Relations (IR) positivist theorising in the book. In this introduction I will briefly summarise the four reviews and then offer a couple of concluding points. Sarah Kreps has made a superb contribution to the burgeoning academic literature on the causes of military intervention. This literature reflects the enormity of the task social scientists face in comprehending world affairs. This enormity stems from the many choices social scientists have to make in order to investigate reality. Unlike physicists, they do not start with a single universe inhabited by objects that obey physical laws and have no independent ideas or social institutions of their own. They confront a universe in which objects have minds of their own, behave interactively through various social networks and institutions, and may or may not act in line with material forces. On top of all that, social scientists inhabit the universe they examine. They are studying themselves. They belong to specific countries and favor certain ideas and institutions. Should they focus on the United States or on other countries? Should they privilege the causal power of ideas, power or institutions? Should they look at the world from an individual, country, or systemic level of analysis? 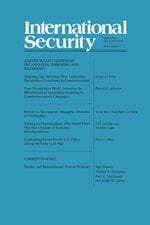 The special issue of Intelligence and National Security, Volume 26, April-June 2011 continues the process of bringing intelligence in from the cold. It is to be hoped that the reviews here contribute to the parallel process of familiarizing diplomatic historians with what is known about intelligence and bringing in two fields closer together. We are still a long way from understanding the degree to which intelligence influenced or reflected international politics during the Cold War, but the reviewers agree that this special issue on “The CIA and U.S. Foreign Policy Since 1947” is a significant contribution. In Blind Oracles: Intellectuals and War from Kennan to Kissinger, Bruce Kuklick focuses on the role of intellectuals in foreign policy making from the end of World War II through the end of the Vietnam War. Kuklick concentrated on three overlapping circles of scholars and writers including experts associated with the RAND corporation, a second circle centered around Harvard University and the Kennedy School of Government, and a third group headed by George Kennan and Henry Kissinger that interacted with the first two and had the most influence on policymakers. Kuklick critically concluded that these Cold War intellectuals and scholars too often ended up groping in the dark and having little impact on policy besides providing a theory or rationalization that policymakers used to explain their policies to the public. Nicholas Thompson has taken an imaginative approach to the Cold War by presenting a comparative study of the public careers of Paul Nitze and George Kennan, two significant U.S. officials who participated in the Cold War from its post-WWII origins to its surprising conclusion. With access to the records of his grandfather, Nitze, and the diaries of Kennan, Thompson is able to develop their evolving relationship and the impact of their respective temperament, experience, and ambition on their policy views and involvement in the Cold War.